At a leading international affairs program, the microphone is used quite often outside the classroom. The acoustics amplify the voice, accentuating the words that make for great speeches when thought leaders, heads of state, career diplomats, development economists, human right advocates, journalists and other academics visit. The microphones come into full swing during various culture night performances showcasing diverse song and dance from various corners of the globe. Microphones are generally associated with pomp and show, celebrities, the lights, and razzmatazz. But that’s not always the case, for there is another night not on any official Fletcher calendar, with no tickets on Eventbrite, and it’s not meant to be a show-stopper. At this event, the microphones epitomize the intimacy and the special feeling of the night. 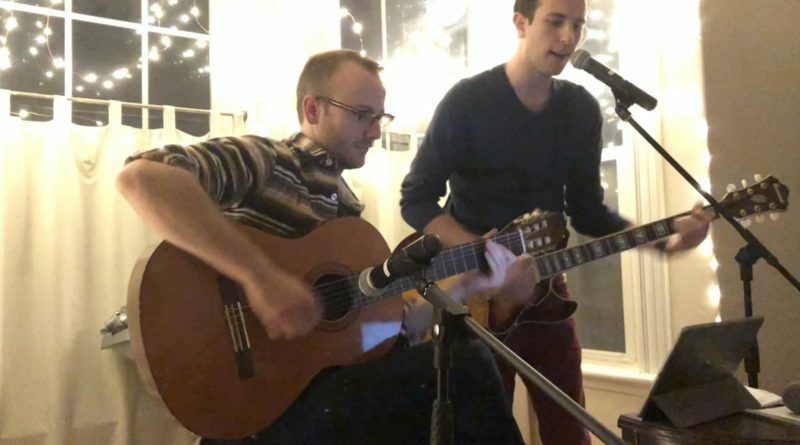 Open Mic nights are a special Fletcher tradition celebrating a night of music, poetry, and artistic sharing where Fletcher students express their non-academic selves in a convivial and encouraging environment. Open Mic Nights are usually held in a Fletcher house, and the setting is intimate, dimly lit, and informal. The idea is to encourage both first-time and experienced performers who are endowed with hidden musical, lyrical, and poetic talents to showcase their brilliance. Past performances have included solo pieces, musical performances, poetry readings, spoken word, magic tricks, stand-up comedy, photo exhibitions, and storytelling. There is revelry in the air to go along with the melodious voices, riveting poetry, and scintillating finger movement on various musical instruments. Nothing epitomizes the Fletcher community more than Open Mic Nights. My co-organizers and I have been approached by first-years expressing thanks for putting this together, and by second-years and alums grateful for keeping the tradition alive. Open Mic Night showcases the many hidden talents lurking the corridors of Fletcher. 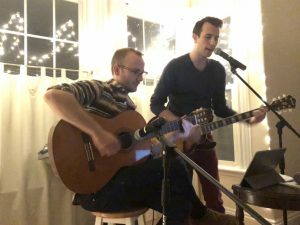 Compared to my talented peers, my keyboard skills and ability to hold a high note are rusty, but I did volunteer in my first Open Mic Night in 2017 to write and narrate a few lines. My penchant for procrastination meant that I forgot to write anything and hence I found myself having to do something on the spot. So, I did write a few lines about Fletcher. As the world succumbed to fear. The US, meanwhile, faced the Great Depression. Started a new school on the hill. Through astute learning & in-depth policies. From climate change to human rights. But wait, you ask, what about finance & jobs at a bank? Although if you ask us, we will admit that alcohol today is the real liquid asset. Than having a four-star admiral as its dean. But their jokes cannot compare to Professor Drezner’s hilarious tweets. And under certain administrations, that could seal their bureaucratic fate. At times making the occasional joke about President Donald John Trump. A big little school called Fletcher at Tufts University.